DLK’s Erbium Treatment is the most advanced laser technology available for the treatment for aging skin, acne scarring, and photo-damage. The Erbium laser provides a safe and non-surgical method of restoring a softer, smoother, more youthful-appearance in your skin and requires minimal downtime. DLK’s Erbium Treatment is a resurfacing procedure that can be effective to treat superficial to moderate lines and wrinkles on the face and neck. The Erbium laser works by stimulating the production of collagen which results in tighter, smoother skin. 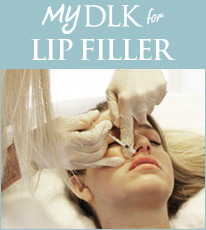 DLK’s Erbium Laser Treatment is performed by Dr. Lisa Kellett. The Erbium Laser’s light is passed over the surface of the skin. The light energy is absorbed by the water in the skin causing an instant vaporization of the tissue removing 30 millionth of an inch at a time. This control allows Dr. Kellett to treat as deeply, or superficially as needed. As damaged skin is removed, new skin growth will occur in its place. Patients treated with an Erbium Laser will experience only minor discomfort and usually only require a topical anesthetic prior to the treatment. To understand how the Erbium Laser works, it helps to know a little about how your skin works. Skin is made of mostly water and as such acts to absorb light. This aspect of absorption is the basis for the principal goal of the Erbium Laser which produces energy in a light spectrum that is 10-15 times better absorbed by the water in the skin than other resurfacing technologies. The effect is that the laser’s energy is effectively absorbed into the skin and as a result the skin is instantly vaporized. In this way the Erbium Laser does not actually burn the skin, the laser is so precise that the surrounding skin is hardly affected reducing the pain factor and possible side effects. Only a few microns of thickness are removed at each laser pass. The healing process lasts one or two weeks so the procedure is suitable for relatively young and working persons who cannot afford a lot of down time. When you arrive for your appointment on the day of treatment, your face will be cleansed and a topical freezing cream will be applied. The freezing cream takes approximately 30-60 minutes to take effect and during this time you can relax and read. During the treatment eye goggles are applied for eye protection. The resulting healing and restructuring of the skin can greatly reduce the appearance of wrinkles and scarring.